Elmstone Cottage was a large building and by the time the road was renumbered in the early 1930s the property had been divided into 238 and 240. For details of the property before this time please refer to the entry for number 238 Bath Road. For over 40 years number 240 Bath Road was a confectioners shop, with names such as F.G. Allen, A.W. Norcliffe and D.K.S. Wallace. Probably the best remembered is Excells, who were here for more than 30 years. It was a square shop with glass counters around 2 sides and wall shelves lined with jars of sweets with names such as pear drops, parma violets and the delightfully named gob-stoppers. These were sold by the ounce in paper cones. 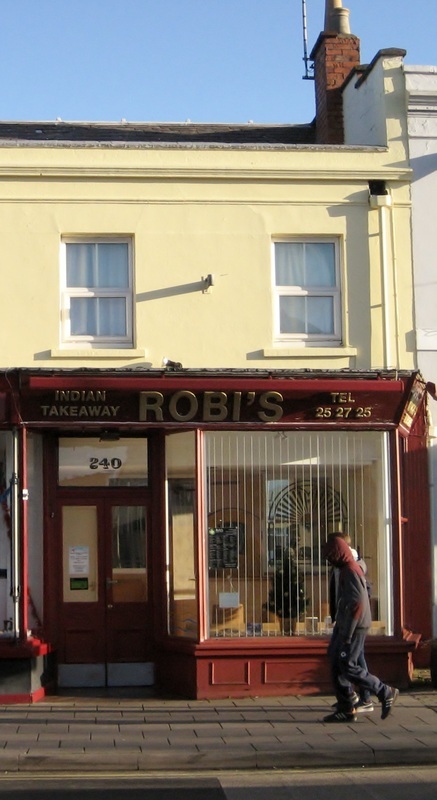 When Excells closed it became Mr Ireland’s Candy Casket but before the year 2000 had already changed to Robi’s Indian takeaway restaurant.